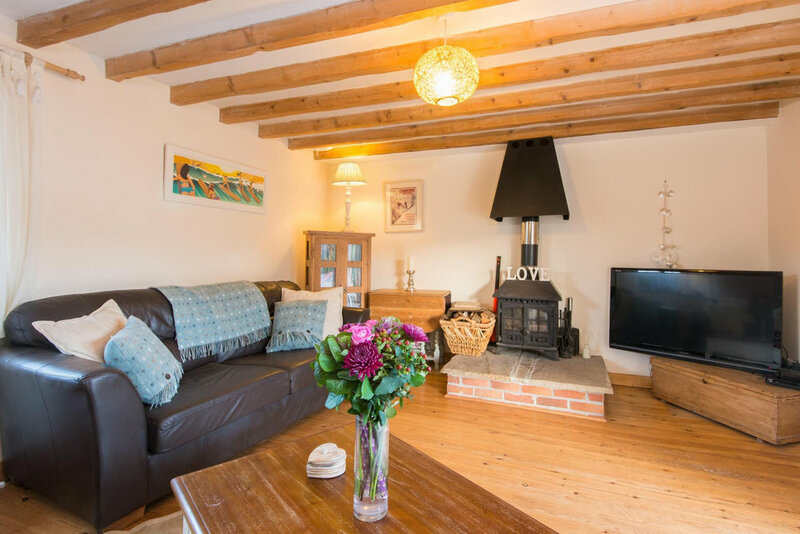 Bunny Cottage is an original farm cottage that has been updated to provide a spacious country retreat conveniently located for Newquay, the airport and Watergate Bay. Surrounded by rolling countryside and just a couple of other houses on the old farm, this cosy cottage has a lovely south facing garden with a deck. On sunny days you can dine on the decking and when it does get chilly you can retire to the lounge where the woodburner will warm your cockles! 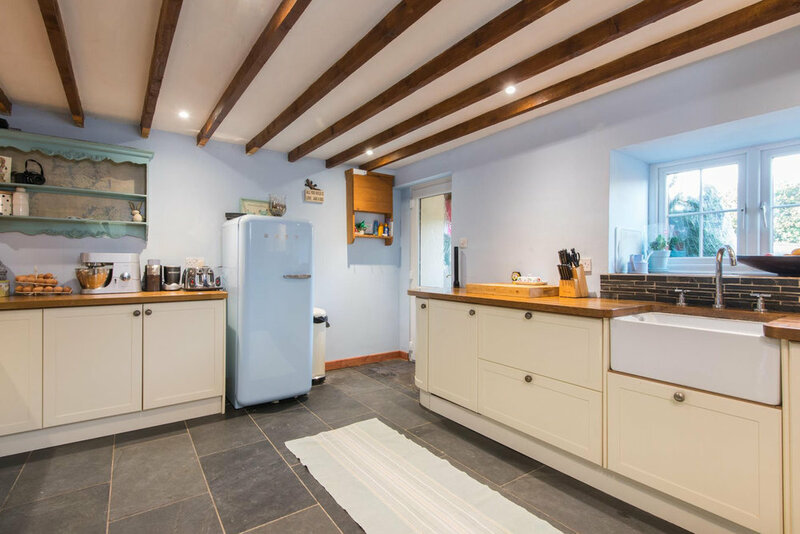 Bunny Cottage is an original farm cottage that has been updated to provide an excellent holiday cottage conveniently located for Newquay and Watergate Bay, yet in a quiet and tucked away location offering real peace and quiet. Outside is a dining table, BBQ and chimnea set on a large decking with a capacious garden for children and/or dogs to enjoy. Inside is a large kitchen diner with traditional wood Farmhouse table perfect for hosting dinner parties and family get togethers. The kitchen has a double oven with 5 ring induction hob and well equipped with everything you need to cook up a storm. There is a downstairs cloakroom with library. Please feel free to leave any books you are finished with for other guests to enjoy. The lounge has two sofas and a large flatscreen TV, a DVD player and BOSE bluetooth speaker for your entertainment. Patio doors from the lounge open on to the garden with beautiful views of Porth Valley. Upstairs is a large family bathroom with rolled top bath and separate shower cubicle. The master bedroom has views on both sides to the surrounding country side and a King size bed. There is another large double room and a spacious twin bedroom. There is plenty of room for a cot bed in each of the rooms.